I haven’t posted to the blog in quite a while. Been busy working on various projects and dealing with the usual life and family stuff. 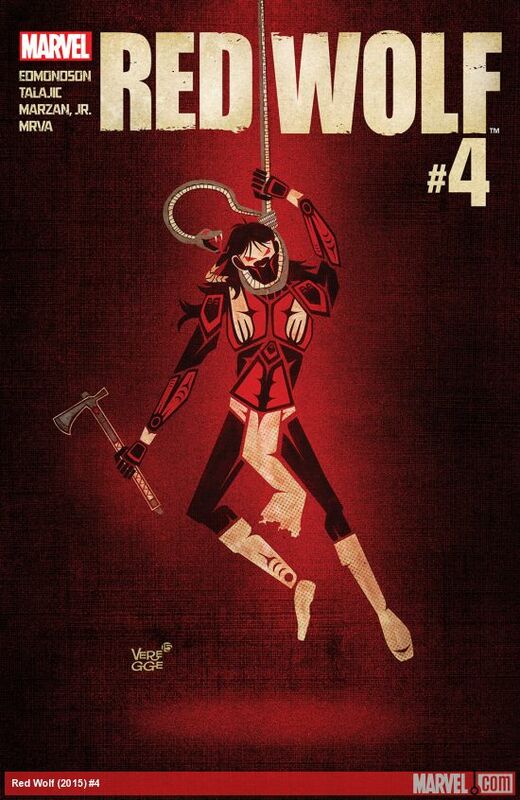 So anyway, here’s Red Wolf #4, the most recent issue of the Marvel series. I have done all the issues in this latest run, I’ve just been negligent in posting about them. Story by Nathan Edmondson; art by Dalibor Talajic and Jose Marzan Jr.; color by Miroslav Mrva.